Chelsea's four-match winning run to open the season was ended by its all-time record scorer, with Lampard arriving late in the box — as he did so often at Stamford Bridge — to sidefoot home in the 85th minute. Since making his England debut in 1999, the 36-year-old Lampard has scored 29 goals in 106 matches, with his last appearance coming at the World Cup in June. 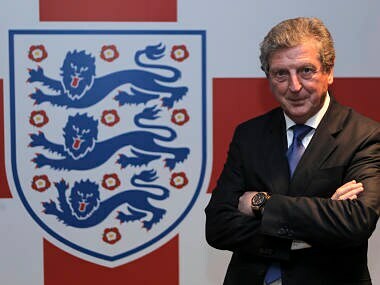 England manager Roy Hodgson will field an experimental side as his team's miserable World Cup draws to a close against Costa Rica in Belo Horizonte. Frank Lampard echoed England colleague Steven Gerrard on Monday by saying that he has yet to reach a decision about whether to prolong his international career beyond the World Cup. 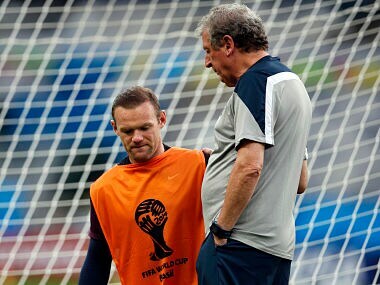 England's opening game against Italy could be another free-flowing classic of the kind that has already lit up this World Cup, manager Roy Hodgson suggested. 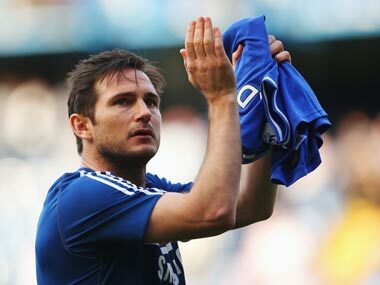 Frank Lampard finally brought down curtain on a 13-year illustrious career at Stamford Bridge as he announced that he would be leaving Chelsea after his contract expires in June. 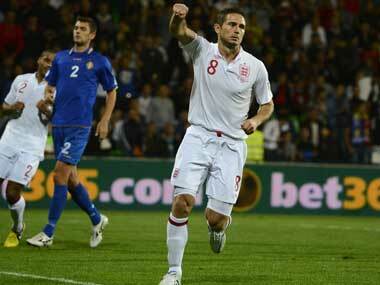 Here are Lampard's top 5 moments in Chelsea Jersey. "Whatever the next challenge is for me I will always be amongst you and have Chelsea in my heart," Lampard told the club's fans in a statement. Will Terry, Lampard, Cole say goodbye to Chelsea's Blues? Chelsea saw their Premier League title dream die in a 0-0 draw with Norwich City that may have represented a curtain call for three of the club's greatest players. Chelsea bounced back from their mini-slump and surged to the top of the Premier League with a 3-0 home victory over Stoke City thanks to goals from Mohamed Salah, Frank Lampard and Willian at Stamford Bridge on Saturday. Chelsea midfielder Frank Lampard and defender Branislav Ivanovic will be out of action until the end of January, the Chelsea website reported on Wednesday.